PM Narendra Modi has recently been conferred upon with the highest civilian order of the UAE by the president. 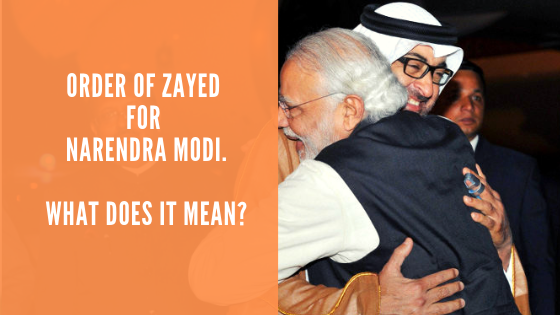 Also called the Zayed Medal or Order of Zayed, this award has been given to 16 recipients before Narendra Modi. However, in terms of the statesman of democratic or government set-ups, Narendra Modi is one of the few recipients. The main question that arises after the award has been delivered by a Muslim Majority country, his endorsements are a proof that Modi is achieving heights internationally in terms of bilateral relations and strategic ties with the nations of importance or not? And the second question is that is Narendra Modi really anti-minority in India? Rahul Gandhi is a visionary. There must be no doubts or disputes here. He is truly a visionary who has thought of such a scheme that will offer unemployed or underemployed more of unemployment or underemployment. No need to strive for a better lifestyle or wealth if you don't earn well. 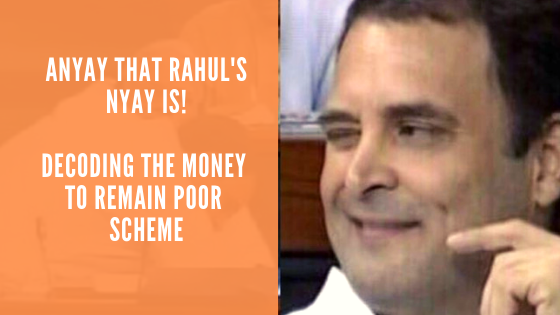 Rahul's NYAY will do justice for you and you will be given the top-up to make your income or no-income as high as 12,000 Rs. That also, the amount will directly be deposited into your bank account. Yes, the scheme uses DBT or direct benefit transfer system mostly systemised and infrastructured by no-knowledge Modi who doesn't know even the basics of ecnomoy or the 1/1,00,000 of what P. Chidambaram knows (figure calculated by Fact Checker or Free Thinker).